Based in Aberdeen we provide SEO services to companies throughout the UK. 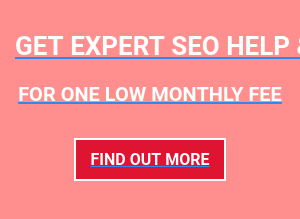 Companies who like our plain English approach to SEO, companies who appreciate an honest conversation about their websites, companies who want us to help them generate more business on-line. Is your website appearing in search results? Is your website converting visitors into clients? Is your website adding value to your business? If the answer is no or don't know, you need the services of an SEO company like us. We've got a proven track record of helping companies turn websites into sales tools and we can do that for you. Check our SEO Packages or call us and we'll create something tailored to your exact needs. We help Aberdeen based companies with their internet marketing strategy and we can help you with yours. We can kick start things with paid search (PPC) and develop your website so it grows its share of free or organic search traffic. We offer a comprehensive range of web related services which means we've got deep knowledge of everything from lines of code to creating an on-line marketing strategy to increase sales. We'll make your website work harder for your business. We're big enough to get the job done and small enough to care about every client. We'll treat your business like it was ours. We think we're Aberdeen's premier web and SEO company and we'd like to prove it to you. Call us on +44 (0)1224 443551, email us or use this short form.